It is always better for a novice to commence off with big dreams to reap profits out of the stock market within a shorter duration. Today, there are many people who prefer to become rich and gain happiness through quick, easy and short cut techniques. We shall now discuss some of the interesting share market tips, which can be effectively put into practice by beginners. There are several factors to be taken into consideration prior to investing money in stock market. For example, if you wish to withdraw funds within few months or a year, saving money to purchase property or use it for educational expenses. One should also be exactly clear for what purpose the money is used. Those who intend to procure money within a limited period, then it is better to switch over to other modes of investment since stock markets are unreliable. It is subject to change at any point of time. Upon getting a clear picture of the volume of capital at a specific time, you can estimate the amount of money to be invested and the expected returns. It is highly recommended for investors to open DEMAT account in order to successfully trade in stock market especially. At present, there are ample online stockbrokers where you can open up DEMAT account within one week. However, you are required to pay close attention while picking a platform since the chances of zero accounts opening charge are very high. Check for online reviews. An individual should pay brokerage and tax for each and every transaction. Those brokers who offer a free account normally charge a hefty transaction fee. Perform a thorough check-up via website prior to signing-up. It is advisable to check, track and jot down a detail list of account brokers in order to get familiar with their commission rates along with their credibility. All marketing investments are subject to the volatility of the movement of stocks, which may result in wild fluctuation in the sensitivity index. Fortunes may therefore be lost due to heavy bear trading which may be the outcome of either poor annual performance or controversies relating to a stock. It is therefore advisable that investors may buy balanced mutual fund or debentures of blue chip companies. Bonds and treasury bills are also safe investments but would fetch only lesser returns than shares. However, it is compensated by the security of the principal amount invested. It is advisable that every beginner starts his portfolio management in a very prudent and cautious manner. Initially the management of the corpus may be entrusted to professionals like banks. But if the minimum fund insisted by banks is higher than what you can afford, these investors may either invest in mutual funds or dabble with stocks which are safe but offer lesser returns. Prudent investment depends upon the safety of the investment corpus. Share Market Tips for Beginners as mentioned above will help you to succeed and stay profitable in the share market for long term. 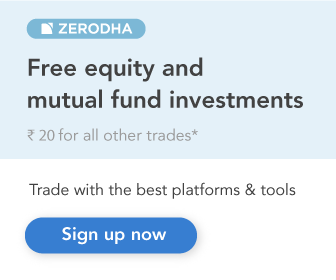 Equity Delivery : FREE Brokerage. Other Mandatory charges applicable. 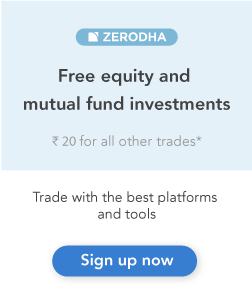 Just .01% or Rs.20/- (whichever is lower) for day trading and Flat Rs.20/- per lot for F&O. Just leave your contact details and we will contact you with more details.